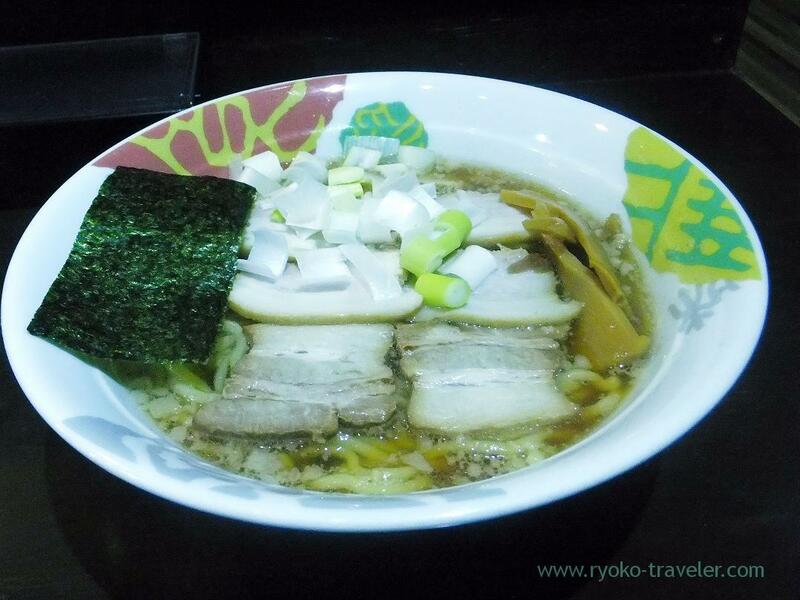 Keisei-Okubo – my town have so much ramen shops. I think it’s because there are some universities. Nihon univ., Toyo univ. etc. 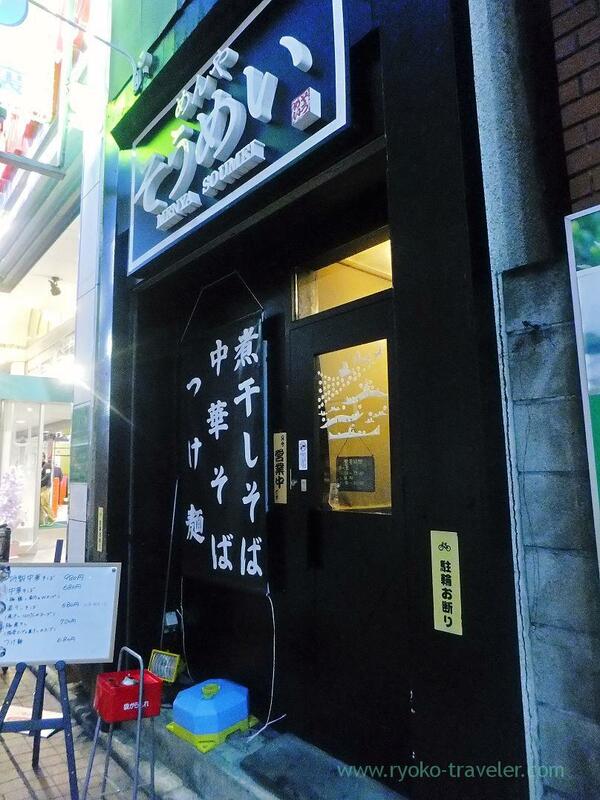 Recently, also one new ramen shop has started their business. It seems an old bar. I heard that they bought the building with its stock and goodwill. There is a ticket vending machine close the door. So, at first, we buy our ticket there. 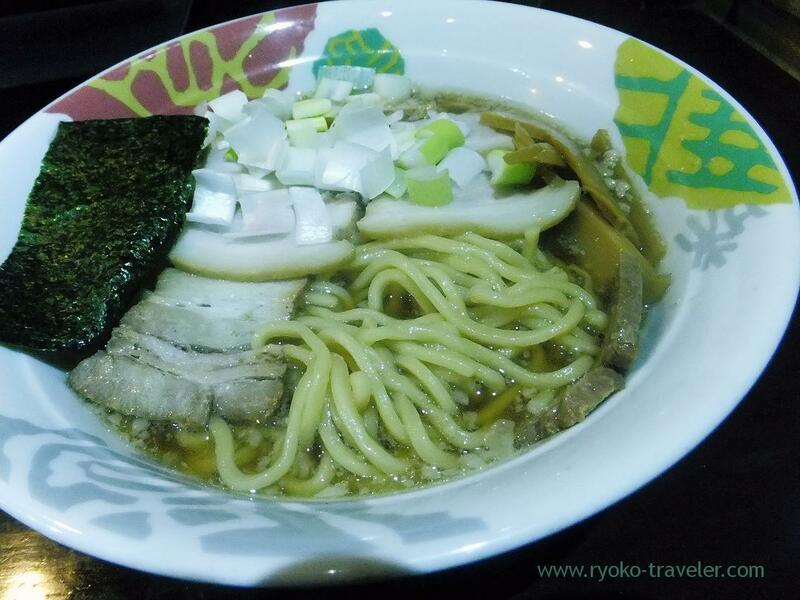 Most ramen shops prepare ramen in front of the counter table. But this shop doesn’t. They have kitchen at the back of the shop. After a while, my ramen was served. I expected that it have more dynamic amount of meat because its name have the word “meat”. But it was better for me. I can’t eat much 😛 A little back fat on the soup. But it wasn’t so heavy. It was rather light. I think my mother like it.